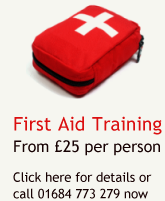 Tailor made training are dedicated to making the workplace a safer environment. With our extensive experience and knowledge, and use of behavioural training techniques, we guarantee this can be achieved in your workplace. The consultancy division of TMT uk offers knowledgeable and experienced health and safety professionals, our team of highly respected experts in their individual disciplines will assist you from policy conception and initial risk assessment through to completion. To minimise the direct and hidden costs associated with workplace accidents and ill health. To meet the moral duty of care to protect the safety and well-being of colleagues, employees and others affected by the business activity. At tailor made we want to reduce accidents and put safe policies and procedures in place, this can only save you money. We offer our services for training, and on a consultancy basis. We are always happy to discuss any health and safety or environmental matters you may have, just give us a call and arrange a meeting.